Recently I have delete 2 million unwanted records from my sql server database table, what i realise is even after deleting records, space used by database is not reducing. 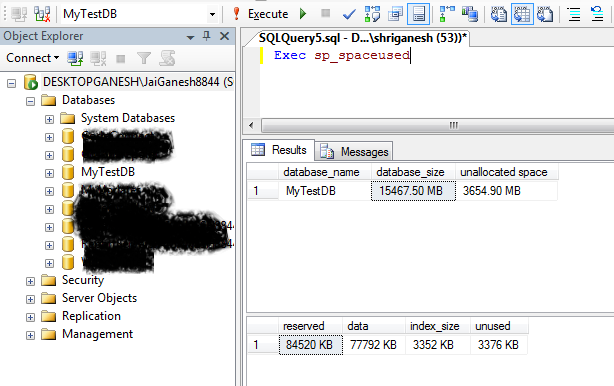 1) Whenever we delete records from table, sql server doesn't reduce size of database immediately. 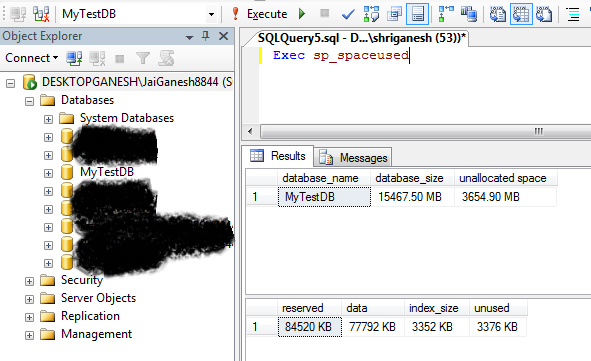 2) Even after deleting table , sql server doesn't reduce size of database. 3) Instead of Freeing space for deleted records, sql server marks pages containing deleted records as free pages, showing that they belong to the table. When new data are inserted, they are put into those pages first. Once those pages are filled up, SQL Server will allocate new pages. 1) Check what is Size of your Database using following command? 2) Delete Records from table, If you have already did that skip this step. 3) Run below command to claim unused database space. DBCC SHRINKDATABASE command - Shrinks the size of the data and log files in the specified database. 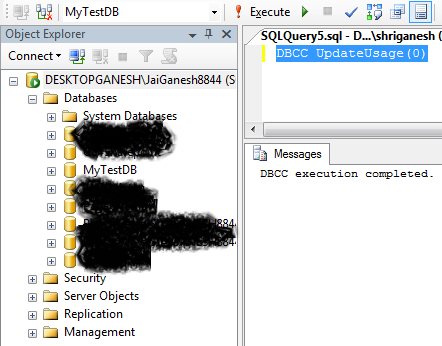 If you have Created, Alter or Drop any Database table recently then run below command. DBCC UPDATEUSAGE(0) - Reports and corrects pages and row count inaccuracies in the catalog views. These inaccuracies may cause incorrect space usage reports returned by the sp_spaceused system stored procedure. Example showing how this command helps me to reduce size of my database after deleting records from table. 1) Take Backup of your Production Database. 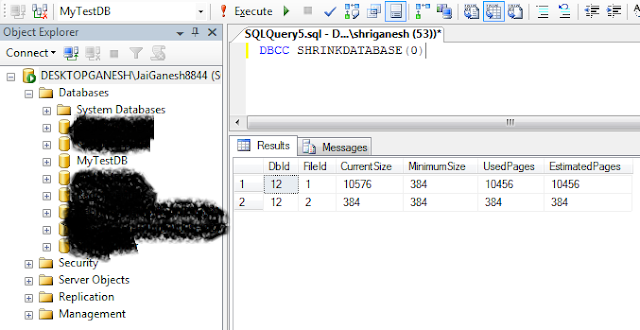 2) Take Backup of Table Scripts of your Production Database. I am assuming you are familiar with above steps, actual steps begin after this. I am also assuming that you have already deleted unwanted records in table. 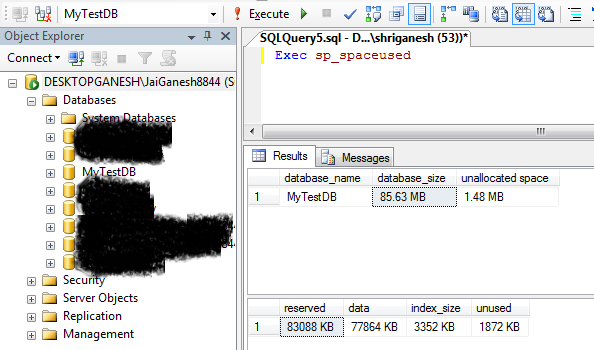 If everything goes smooth then you would see that your database size is reduced.